As part of the recent November Update to Windows 10 5 Settings You Must Check After Windows 10 Fall Update 5 Settings You Must Check After Windows 10 Fall Update With every upgrade, Windows 10 introduces new options, changes user settings, and pushes its default apps. We show you how to revert the changes from the November Upgrade back to your own preferences. 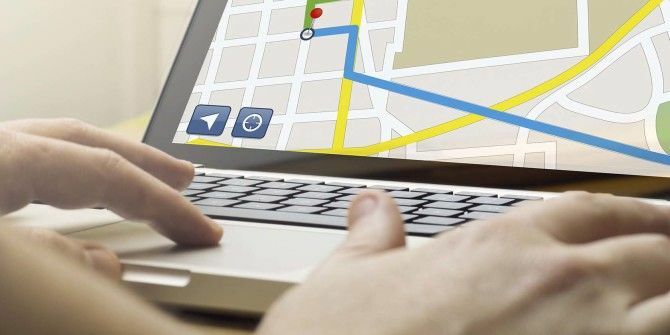 Read More , a new feature became available that lets you track your laptop wherever it goes. The next time you leave your laptop somewhere — or if someone steals it — you now have a way to get it back. But before you can use it, you have to first enable it on your system. Sign in with a Microsoft Account Create a Microsoft Account on Windows 10 Using Gmail or Yahoo! Create a Microsoft Account on Windows 10 Using Gmail or Yahoo! Here's how you can make a Microsoft account for Windows 10 without a Microsoft email address. Read More . With those two prerequisites fulfilled, you should be able to enable the Find My Device setting by clicking on Change. While enabled, this feature periodically reports your device location to Microsoft. Finally, visit the My Microsoft Devices page to see the locations of all devices that have the Find My Device feature on. Will you use this feature? Or is your privacy more important than the convenience? Let us know in the comments below! Explore more about: GPS, Location Data, Windows 10. I do not use my MS account on my W10 PC because I do not want MS in my system. At the last update they also removed several of the apps that I use often, saying that MS had decided I no longer needed them. Come on big brother, dial it back a lot or I will switch from being a MS-fanboy and go directly to Linux which I already run on one of my laptops. It works quite well actually. Yeah, that's a common complaint! I wonder if Microsoft will dial it back if people keep complaining. Seems like the W10 adoption rate would spike again if they gave users more privacy and greater control. Be aware that you must be constantly signed in to your Microsoft account to have the location recorded and adding a computer as a device; as opposed to a phone, a tablet, or an Xbox; for the service is not terribly intuitive. Yes that's right, it unfortunately requires a Microsoft account. Joel Lee, I'm not sure if you're being intentionally obtuse, trying to be snarky, or being unintentionally obtuse. There is a large difference between being required to have a Microsoft account to use the service and having to sign into it as the FIRST THING you do on a device to ensure the tracking is happening. From my experience, Apple's Find My iPhone/iPad/whatever only requires tracking to be active on your device to locate the device. But you don't need to be signed into iTunes or the Apple store or whatever to have the service function. Maybe my experience has been different than others. I haven't lost my phone, but I have tested the service. Let's walk forward. My Windows laptop is stolen and I want to use the Microsoft service to find my laptop and recover it - just like I would with Find My iPhone. In order for the service to find my laptop, I must communicate with and give the thief my Microsoft account credentials to enable the laptop to be tracked or hope that the thief hasn't thought to log out of my Microsoft account if I happened to have logged into for some reason (oh, could it be I'm renting into eternity all my Microsoft software?). I believe this might be a redundant activity. "Hey, Mr. Thief, would you mind signing in (or back in) to my Microsoft account with this username and password so I can track where you are with my device?" The only other use of the service would be to guard against incredible dolts who simply leave their very expensive device lying around and can't remember where they left it, hoping it hasn't moved in the time it took them to forget where he last was. I was agreeing with you Tom. Yes, you're right, the tracking is only active while signed into your Microsoft account, which is unfortunate. This means it's better in cases where you just misplaced or left behind the device, and less effective for cases of thievery. At least you'll have the last known location if someone logs out. So yeah, tracking is definitely more useful for phones. For starters, phones have unique identifiers that laptops don't have, which is probably why they don't require accounts for tracking. Moreover, phones have cellular data + Wi-Fi while laptops only have Wi-Fi. I guess i shouldn't have cut my implant out?